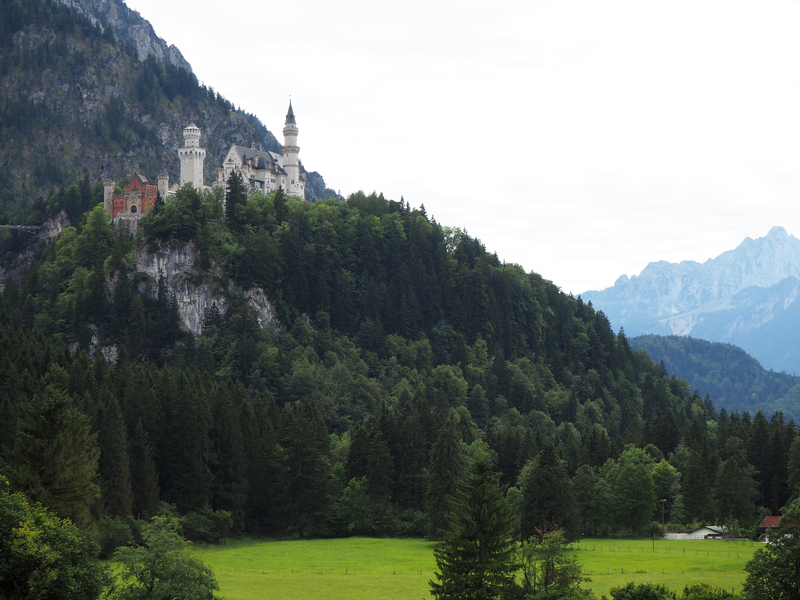 Whilst visiting a friend in Munich a while back, we took the opportunity to head out on a road trip to Schloss Neuschwanstein – One of the most famous Castles in all of Europe. 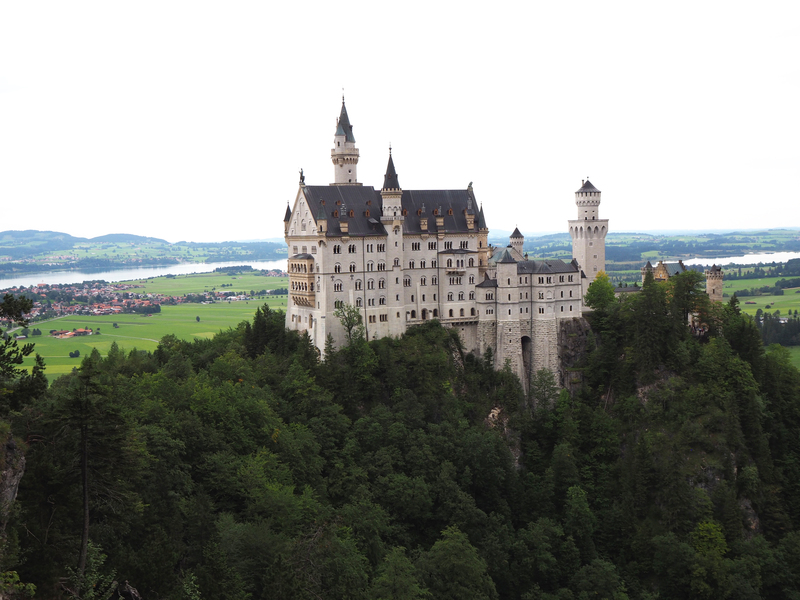 Schloss Neuschwanstein was created by King Ludwig II “The Fairy-Tale King’ of Bavaria. Construction began in 1869 and was never finished, due to the sudden death of Ludwig II in 1886. It ended up being used as a model for Walt Disney’s Sleeping Beauty Castle. The Palace was intended as a private retreat for the King but became open to the public on his death. The best view of the Castle is from Marienbrucke (Mary’s Bridge in English), which is just a 10 minute walk from the Castle grounds. 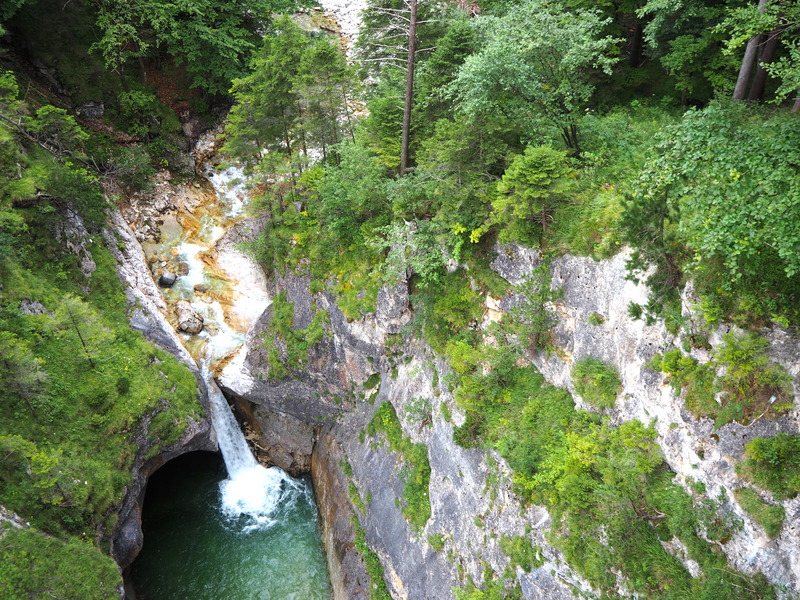 Marienbrucke is located over Pöllat Gorge and above a waterfall. The Castle tours are offered at set times only and have limits on numbers, so I suggest you reserve your tickets online. Unfortunately we made the mistake of trying to aquire our tickets on arrival and didn’t manage to book a tour until 4pm (we had arrived there at 11am!). Luckily we had noticed a sign for the Tegelberg-cable car on our way in, and decided to venture in that direction. This ended up being a fantastic journey with spectacular views from atop the Ammer Mountains. The ride to the top takes about 10 minutes and takes you to a height of 2,150 meters, with marvellous views of Schloss Neuschwanstein on your way. From here you can either perch yourself at the cafe, watch paraglider’s jump off into the horizon, or wander around the tracks.